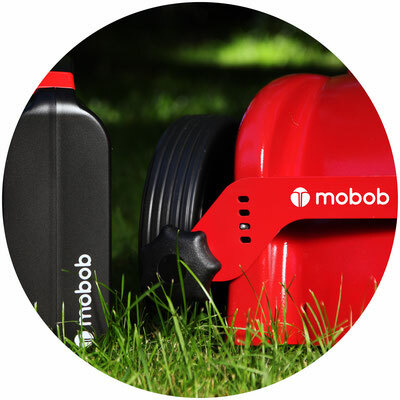 mobob® is an environmentally friendly, cordless battery mulching mower. 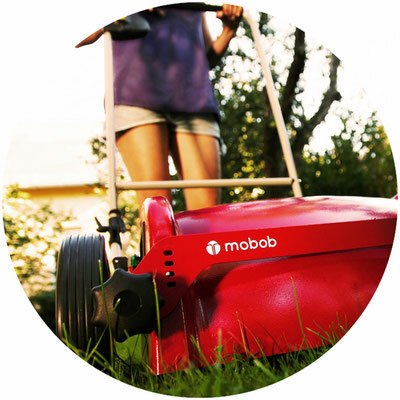 It is light and agile, extremely energy efficient and mows very quietly. Its sviwel castor wheel makes it easy to maneuver around obstacles and to turn effortlessly at the end of a mowing track. 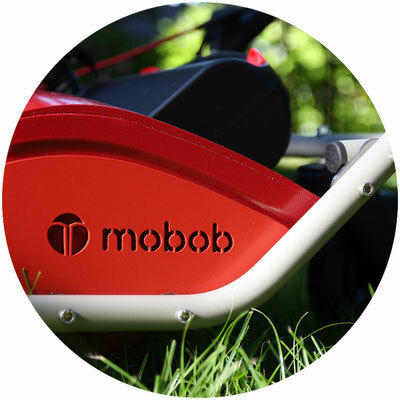 The mobob® battery mulching mower is made for people who value sustainable design, ecologically sustainable garden maintenance and a healthy lush green lawn. It is a high-quality, durable and resource-conserving gardening tool "made in Germany".